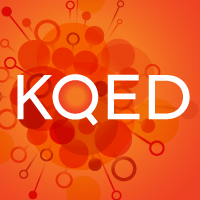 Audience engagement lies at the very center of KQED’s Strategic Plan for FY15-17, and we are especially interested in the ways that digital, mobile and online activities impact how our viewers, listeners and visitors interact with us. A new initiative for this year is the creation of an Audience Insights and Ingenuity Team, tasked with researching, analyzing and acting on data received from these channels. The implementation of new CRM tools, including roundCause 2.0 and Oracle’s Eloqua Automated Marketing System form the foundation for these efforts. With these tools, we are beginning to track more demographic and behavioral data to help us understand who our audience is; why they do (or do not) give; and their patterns of engagement, visiting, viewing and giving. As part of this effort, we are taking steps to increase brand awareness and opportunities for donation requests across platforms. For example, we’re promoting pledge gifts by e-mail and social media as well as on air; including donate buttons in multiple situations unrelated to specific asks; testing challenges and campaigns through interactive marketing; and working with Quantcast to target specific potential donors with online programmatic ads like the one featured to the right. Throughout December 2014, PBS Digital and Development Services teamed up to run a year-end station donation form promotional campaign on PBS.org and COVE video portals [more on this campaign below]. KQED partnered on this test to track the results, and to compare them with other gifts received outside of on-air pledge in order to understand the different ways in which donors respond to different campaigns. This focuses on donations received from people who visit website donation pages and make a gift outside of any pledge drive, direct mail or e-campaign. Visitors to PBS.org who automatically localize and choose KQED as their station of preference. In FY15, we began tracking these sources uniquely – including providing PBS with a unique URL for donors localized to KQED from PBS.org. As mentioned, PBS Digital and Development Services partnered with local stations to leverage the millions of unique visitors to PBS.org for station financial sustainability. The goal was simple: drive a higher number of prospective donors to station donation forms through holiday-themed banners on COVE video portals, and a targeted lightbox on PBS.org. Throughout the month, the promotional banners on COVE video portals encouraged prospective donors to make a donation to their local station while a lightbox highlighting the tax-deductible benefit associated with year-end giving greeted visitors during the last week of the year. Since KQED was already tracking donors, PBS invited us to participate in a test to measure the impact of this campaign. At the conclusion of the campaign, PBS indicated that there were at least 840 donate-clicks sent from PBS.org and COVE video portals to KQED. Though campaign tags were not used to measure impact and gauge overall performance, KQED observed 149 completed donations from this source during the campaign period for an approximate 18% conversion rate. The chart below shows the increase in traffic, red indicates clicks from PBS.org while blue indicates click from COVE video portals (the spike corresponds to the addition of the lightbox during last week of year). Our analytics team ran some comparison reports on these donations with those received from the other two sources: for our purposes, we’ll refer to them as donations from KQED.org (which includes KQED’s app) and donations from e-mail sources (which includes social media). We found that donations from PBS during the campaign amounted to around 10% of all “generic non-pledge online giving” for December. Comparing the status of donors, we found that existing donors were more likely to make additional gifts, and lapsed members to rejoin via our own native donate buttons, while the PBS campaign provided us with a higher percentage of donors new to our database. Once the campaign ended, the percentage of donors to KQED via the PBS.org channel dropped significantly. Of course, the comparison of PBS’s year-end campaign with KQED’s native results is not entirely one of apples-to-apples: our own year-end efforts tended to be more pledge and challenge based, and we did not run a similar website campaign on our end. But the results indicate that PBS.org can be a driver of new acquisition for stations while KQED.org tends to work more effectively as a driver of additional and return gifts. How clear is it to the donor who clicks “Support Now” at PBS.org that they are forming a relationship with the local station, and that future correspondence and requests for support will come from the station? This speaks, I believe, to the importance of getting the new donor through the transition hurdle that converts them from supporting PBS via the local station to forming a relationship with that local station. Also it speaks to understanding that deeper engagement locally provides stronger support for the system nationally. PBS.org is one of many digital fundraising channels that are opening up for people to begin their ascent of engagement. This, in combination with the higher average gift received from e-mail efforts, indicates that increased engagement with the local station can result in stronger support. To this end, KQED is exploring the “ladder” of engagement (we visualize it as a ladder that public media-inclined audiences deliberately ascend, rather than a “funnel” that they fall into), and assessing the value of all types of engagement – whether it be civic engagement, attendance at an event, subscription to an e-mail, wearing a KQED T-shirt – as well as financial support. Editor's Note: If you are interested in learning more about this research, or would like to partner with PBS Development Services and PBS Digital in future digital fundraising research projects/campaigns please contact Chas Offutt or pbsi_spi@pbs.org.